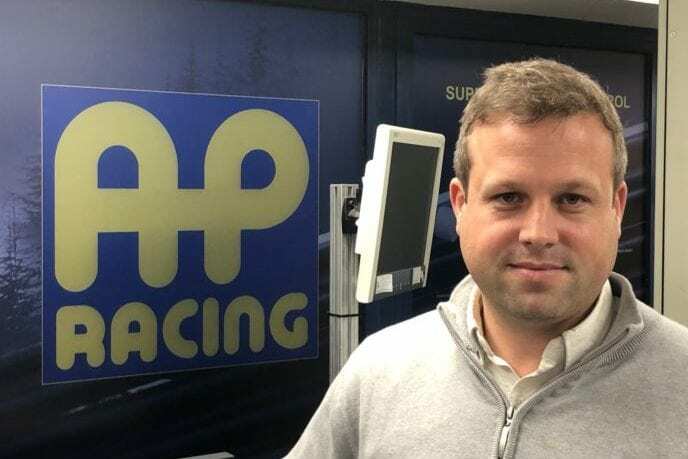 David Hamblin is the Managing Director of AP Racing. The Coventry, UK-based company was founded in 1966. It’s a motorsports staple, with almost 800 wins in F1 alone. TBR: What is your current role and area of responsibility? 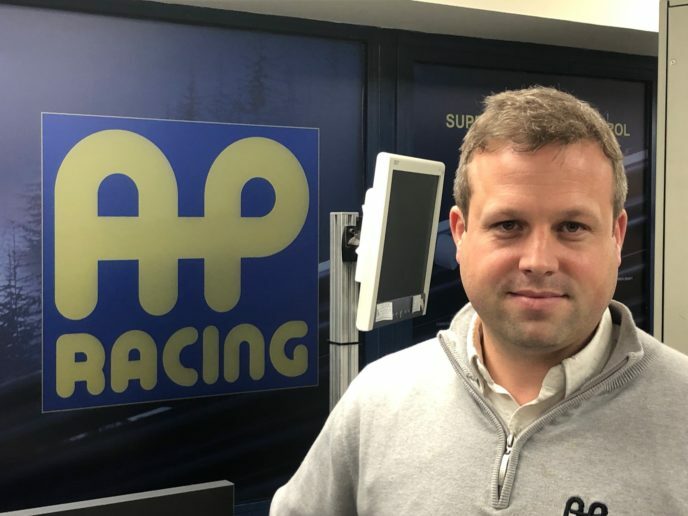 DH: I currently lead all of AP Racing’s activities around the world; predominantly we remain a preferred supplier of brakes and clutches to all levels of motorsport, and also have a growing portfolio of automotive OEM and performance upgrade customers. AP Racing Ltd is a part of the Brembo Group. TBR: How would you describe your leadership style and why has it worked so well for you? DH: Of course, this question is sometimes better answered by members of your team; however, my style has always been open, supportive, energetic and positive. I truly believe in the power of a team as opposed to a group of individuals, so I focus on ensuring our culture encourages our people to work together as a world-class team – and ultimately my success in doing this dictates our success as a company. TBR: What do you see as your biggest challenge right now? DH: There are a number of global disruptors, e.g. trade wars, Brexit, slowing global growth; however, my biggest challenge is to ensure AP Racing is ready to react to any potential outcomes. We remain an agile and flexible business able to react quickly to changing global markets. Of course, with challenges come opportunities to diversify and grow. Ultimately those who react best to change are the most successful. TBR: What do you look for when evaluating and adding to personnel? DH: I look for people who are technically proficient to do the job, but just as importantly, I look for people who are driven to make a difference, challenging everything we do so we never stop improving. The ability to remain focused and considered under pressure given the exciting world of motorsport in which we operate is a must. TBR: What was your first job in the automotive industry? DH: I started at AP Racing after leaving university as a road car design engineer. At the time, AP was a relatively small team and I was lucky enough to be involved in the design of the Bugatti Veyron calipers, among other projects. TBR: What is your favorite thing about working in the brake industry? DH: It is an industry that moves quickly and that has the potential for significant development. Fundamentally, the principles of a brake system have not changed for decades, so there is room to be radical in new system designs. TBR: What is the best career advice you have been given? DH: Whatever you do make sure you enjoy it! Any role will have its challenges and pressures, but fundamentally you must believe in and enjoy what you do to deliver your best. TBR: Name your favorite / recent book(s) you have read. DH: Not being a great lover of fiction, I usually end up reading autobiographies of interesting people (or at least interesting in my opinion). I am currently in the middle of ex-SBS serviceman Jason Fox’s autobiography – the absolute focus and dedication to succeed while relying solely on your team for your survival I find fascinating. TBR: What is your favorite quote and why? DH: “Success is not final, failure is not fatal: it is the courage to continue that counts.” – Winston Churchill. I always want people to be emboldened to try new ideas without fear of failure, but never to be complacent with success. TBR: How do you see the industry evolving over the next 5-10 years and do you have any bold predictions for us? DH: We are, in my opinion, at the start of a people mobility revolution that will challenge every norm and preconception we have in the automotive industry, from the type of vehicles we use to current ownership models. While electric vehicles will be a part of this future, I don’t see them as the entire answer, and I think we will see a range of solutions over the coming years. However, what I don’t see changing is the need for humans to be competitive and quench their thirst for speed, so while motorsport will look different, the requirement for innovation and high-performing products that support series success will remain. We are, in my opinion, at the start of a people mobility revolution that will challenge every norm and preconception we have in the automotive industry, from the type of vehicles we use to current ownership models. TBR: Tell us a something that most people might not know about you or your organization. DH: AP Racing was the first brake manufacturer to complete the Le Mans 24-hour race without requiring a disc and pad change, with BMW in 1999. TBR: What are some ways you relax away from the office? DH: I avidly follow most sports and can sometimes be found doing the most English of activities – playing cricket on a village green on a Sunday! Apart from that, I enjoy walking with my wife and two chocolate Labradors in the countryside – preferably where there is no phone signal!